City centre-style dining in the Manchester suburbs at Blacksticks in Monton. 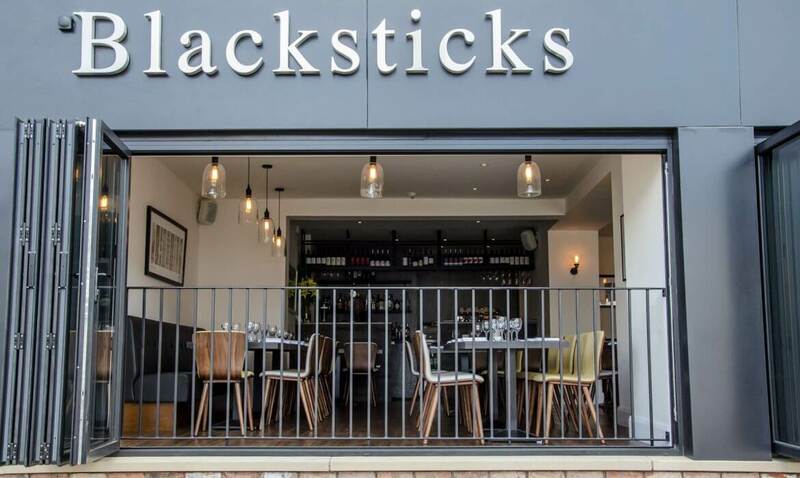 Blacksticks restaurant in Monton offers 'city centre dining in the suburbs' with good-quality modern British cuisine, a varied and well-priced wine list and friendly and efficient service. It's been open now for five years and in that time has built up a loyal customer base. 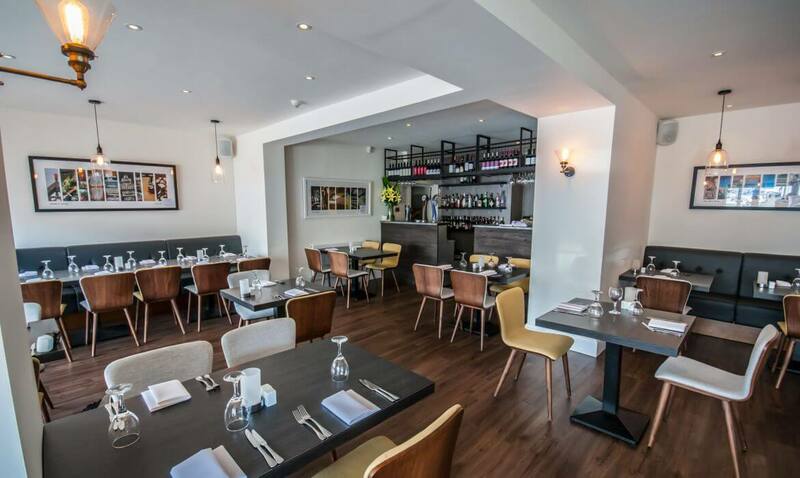 There's a choice between a la carte and Early Bird menus as well as a Tapas & Small Plates menu which is served in the upstairs bar Thursday to Saturday evenings. The bar, which has special champagne tables, is also available for private hire. Blacksticks' signature Open Beef Wellington remains a perennial favourite here - an 8oz Fillet Steak in a Filo Basket topped with Creamy Mushrooms and Crispy Pancetta served on a bed of Spinach with Parmentier Potatoes and a Red Wine Jus - but the menus offer plenty of choice for all tastes. It's open Tuesday to Saturday evenings from 5pm and for Sunday lunch from 1pm-6.30pm and there is a large car park opposite. Great place to meet friends , I went with the mums from school , 10 of us are food was served all together no one left waiting , the lamb is amazing , staff brilliant especially Ben are waiter he was great the owner is very friendly and we even got some wine on the house ,chef very talented definitely well worth popping in !! Just got back from blacksticks me and 3 of my work collegues, WOW what a fantastic night we had. The food is absolutely gorgeous, the staff were excellent in fact I cannot fault anything. I will definitely be returning and my collegues have said the same. I would recommend this place to anyone, its food with a difference that is not only mouth watering its too die for. Book first though to avoid disappointment. Please try it you will not be disappointed. Poor service, one member of staff was unprofessional and rude. She walked away whilst I was talking to her. It eventually became clear that although we had been told if we arrived 30 minutes before our booking we would be seated at the first available table, this was a lie. They knew when we arrived our table would not be available for 8.30, but did not tell us this and told us we could only sit at the table they had allocated to us. The large group on the table we had been allocated had not even ordered desert by 8.40! Nobody told us how long our table would be, or apologised for the delay. Is this a ploy to get people to spend money in the bar? We were eventually seated at 8.55, guess what at a different table, not the one they said we had to sit at!. Again, no apology for the delay. The staff who served us were OK and the food is nice. However, long wait and rude staff spoil the overall experience. Will be going to Smiths in future. just got home after early bird tea at blacksticks. my wife is a fully qualified chef and very fussy and critical every time we eat out. well done blacksticks you silenced her with your mouthwatering food friendly staff and great price early bird menu. we will definitely be returning. one tip i can offer is book because we was very lucky to get in not booking. just returned home after sampling the early bird menu at Blacksticks, choice of full menu and excellent value for money, black pudding starter was fantastic and the pork main just melted in your mouth. This is my fifth visit to this bistro and it never fails to impress. (22 Feb 09) Can't believe there hasn't been a review for this restaurant since 2005! We visited Blacksticks (Monton) on a Sunday afternoon, first impressions being.. good atmosphere, very busy but in no way chaotic. The staff were attentive, excellent food, good value for money Sunday lunch menu which also doubles up as the Early Bird menu (£13 2 courses, £16 3 courses). The chicken liver parfait was excellent so was the cod loin topped with welsh rarebit. We will definitely be returning soon to road test the "A la Carte". I've been here twice and the food was poor both times. The first time I went, the service was terrible and disorganised, waiting over 45 mins for a starter, and half an hour for a bottle of wine to arrive. Decided to write it off as a one-off and went back for Sunday lunch recently. The service was better, but the food was way below standard. A huge shame.